As you guys know, I am an Influenster member. Every now and then, the Influenster company sends me free stuff to try. 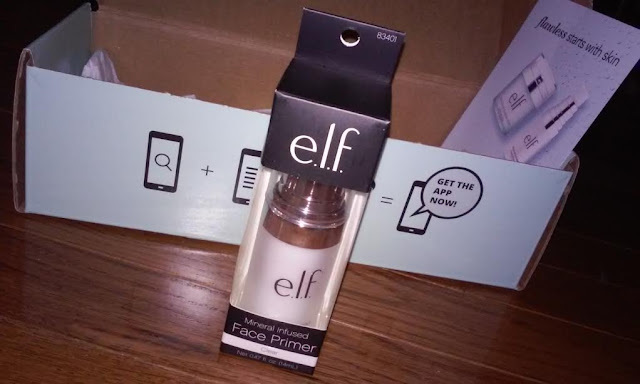 This month, I have been trying out a few products from e.l.f. (Eyes.Lips.Face.). I was super excited when I received the E.L.F. 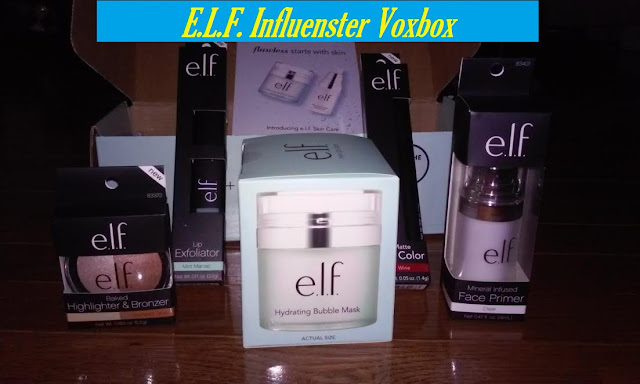 Voxbox because I love E.L.F. products. They're pretty good quality and really affordable. 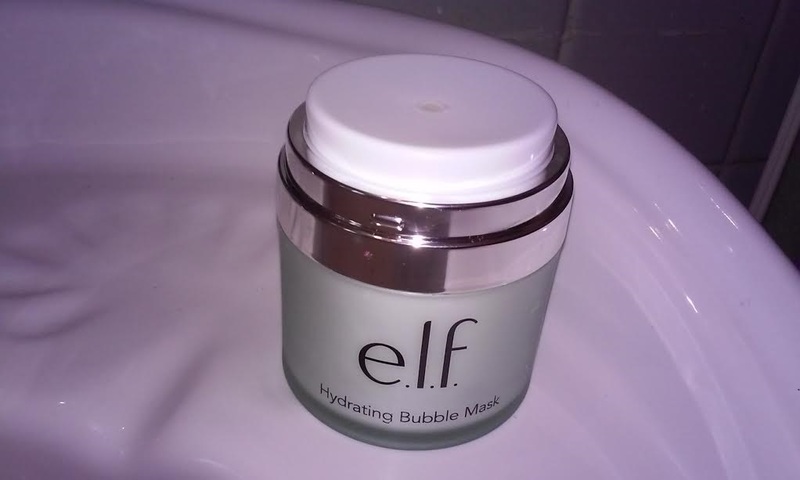 You can buy all of their products in stores like Walmart, Walgreens, Target, on e.l.f. online website, and even on Amazon. Here's what I received in my e.l.f. voxbox that I received from Influenster. E.l.f. 's Hydrating Bubble Mask is supposed to be great for removing dirt and cleansing pores to give your skin a beautiful glow and making it look healthy. I've been using it every 2 days for the past few weeks. I feel like this is definitely for someone who has more so oily skin. If you have dry skin, I would not suggest that you use this because it did make my skin a bit dryer even though it did make my skin glow a bit and make it feel smoother. I also received the E.l.f. Baked Highlighter & Bronzer. The color I have is called Bronzed Glow. I really like the highlighter and will be using it as my main highlighter. It has a gorgeous shine to it and I would definitely recommend it. the past 3 years and I absolutely love it. It makes my skin feel really smooth. I like putting this underneath my eyes and letting it sit for about 2 minutes before applying concealer under my eyes. It helps fill in the lines on my face so that my concealer does not crease up. You can also use this on your entire face if you use foundation on a regular basis. I love how smooth and soft it makes my skin feel personally. It's also pretty affordable. The e.l.f. lip exfoliator is pure perfection. It helps remove chapped and dry skin. You just apply it onto your lips and massage the product into your lips. Then you wipe away the exfoliator with water and boom... Your lips feel and look like love. Lastly, I tried the e.l.f. Matte Lip Color in the color Wine. I applied it on top of the lip balm that I normally use and it looks very pigmented on my lips. I am very interested in trying the other colors because of how amazing it looks. Check out my full review on it here. 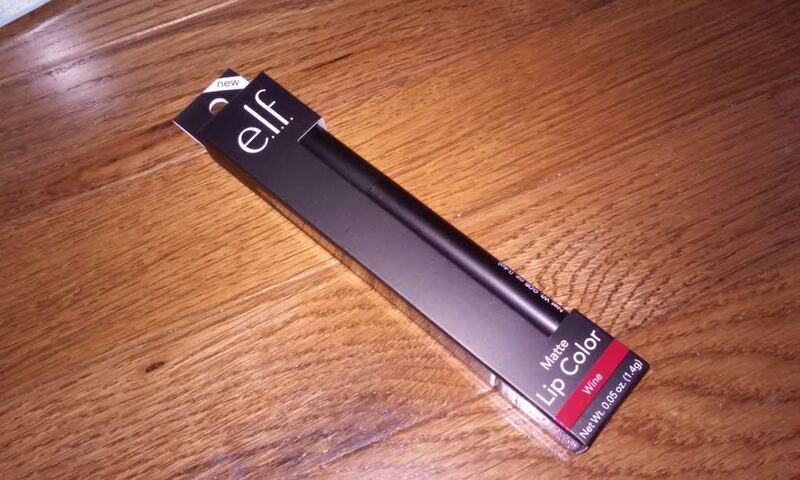 Overall, my favorite beauty product from this e.l.f. Voxbox would have to be the highlighter & bronzer. It looks gorgeous and it definitely makes my face glow. I really love this voxbox and I am thinking about trying out some other products from e.l.f. in the future. 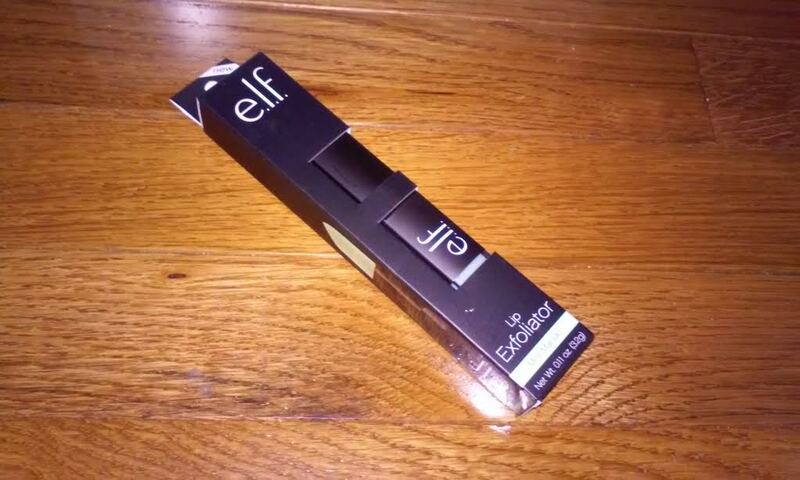 I would like to thank Influenster and e.l.f. for giving me the chance to try these products for free. 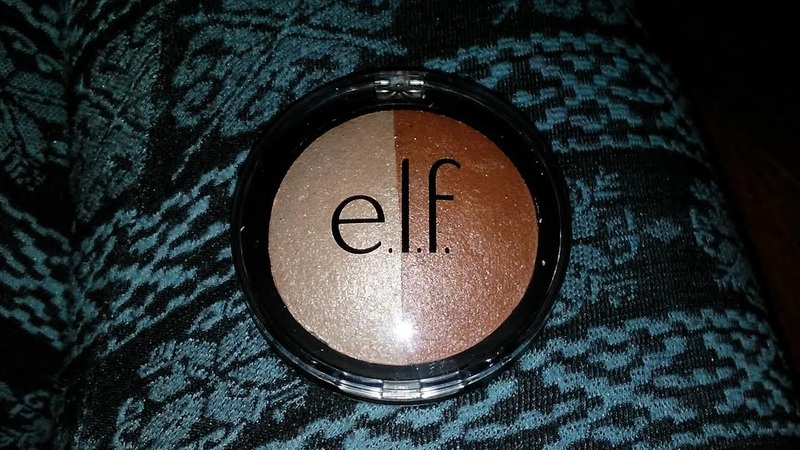 Have any of you guys tried e.l.f. before? What are your favorite products?